I wish there was an app that took care of household chores. Unfortunately there is not. Until then we need to them and make sure we live in a clean, organized environment (at least we try). Little hands can help with some of the chores. 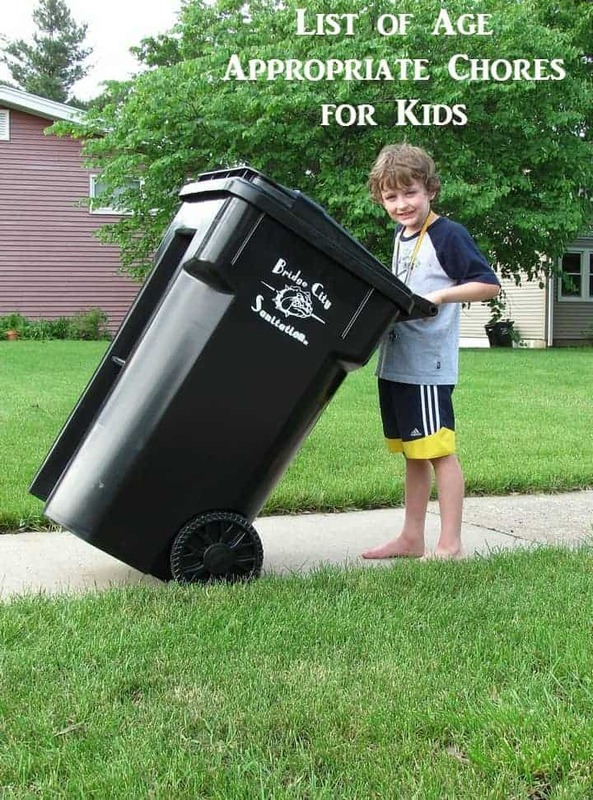 It is a great way to teach them a sense of responsibility. It keeps them busy too. When I am on a cleaning spree, I send my daughter to her room to clean it up. It speeds up the process. It also makes her feel like she is doing something helpful and useful. Obviously at 8, she cannot do laundry or sweep. But there are some age appropriate chores she can and most kids can. It is important to note that kids all mature at various levels. So you may need to adjust this list to the maturity level of your child. This list is merely a guide as to the chores each age range is capable of handling. Do your kids do any of these age-appropriate chores already? How did you get them started on them? Share your tips in the comments! Saved this list. My 13 yo is now helping me with meals. grudgingly but it’s a start! This is amazing with a great list for kids in different ages, so you can have a unique road-map for each category. Putting them in some small house chores under your supervision will make a huge impact in them. I think it’s super important to get your kids doing chores at an early age. They grow up with these valuable life skills. These are some great ideas! My daughter is 3 and we are always making her clean up her toys! My 3-year-old does all of the chores listed here for his age group. There’s a lot of other little things I have him do, too, though. Including taking his dishes to the kitchen counter. It’s so important to get them involved and see that they play a role in maintaining the household early on so chores become a healthy habit! These are perfect for teaching them how to be independent. For me chores are important, because it’s good training for when they are ready to live alone. It is wonderful to empower the kids helping with the house chores. This is super helpful to have it all listed out to divide between the kids! Loving this list! I am putting my kids to work this weekend. Speech Delay in Toddler Boys: When Should You Be Concerned?